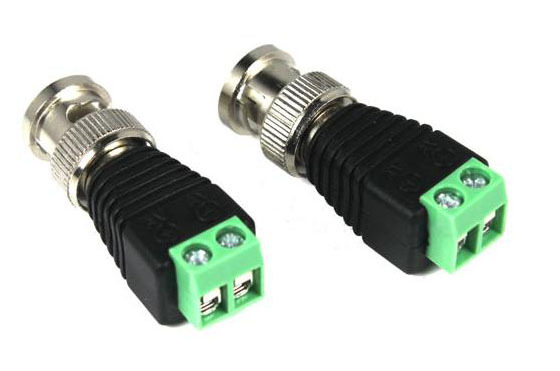 Click the button below to add the 4 BNC Video Connector Pack for use with CAT5 Cable Video Balun to your wish list. This 4 pack of BNC connectors make it easier for camera installation, save time and more secure cable connection - No electrical tap, No splicing, no crimping, but only a small screw driver - Cost Saving - Best choice for the short or long distance installation. 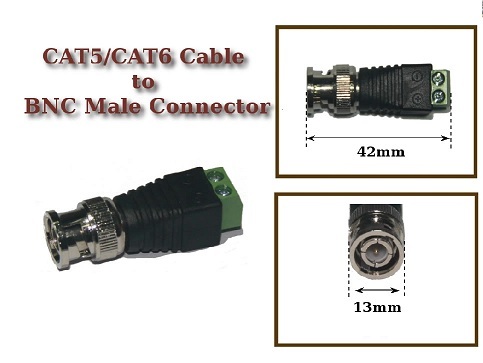 There are 4 pairs of wires in a standard CAT5 cable so in most cases to install a PTZ camera you will need 1 pair for video, 1 pair for power, and 1 pair for RS-485 connection. Make sure to buy all 3 connector packs for a complete camera installation. If you have rolls of CAT5 cable nows the time to use them!